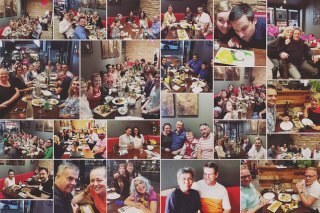 Everyone loves good food, why not spoil them with delicious Thai Food. Show your friends and family how much you care. Our gift voucher is an ideal present for Birthday, Mother Day, Father Day, Graduation Day, Christmas Day and any special occasions. 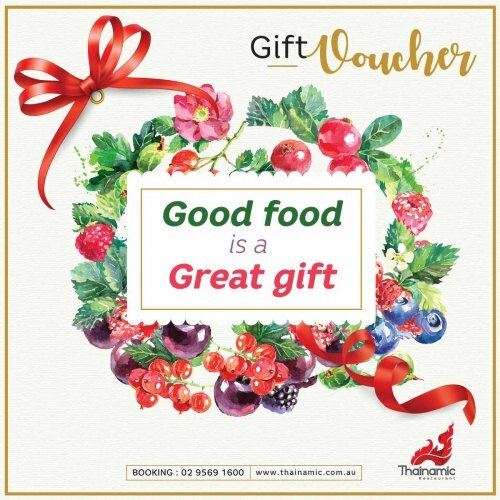 This Gift Voucher can be used on purchase at Thainamic restaurant Leichhardt only. The Voucher can not be redeemed without present a copy of Gift Voucher. Gift Voucher have 1 year expiration date from date of issue.